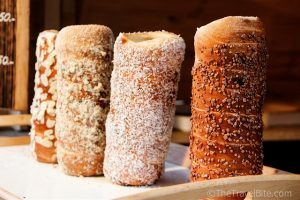 Dec 24 is a quieter day in Budapest, but there are still many things to do. We have picked some of the best activities and programs for you in our Budapest Christmas Guide. For many, Christmas is about presents, spending more time with the family, eating delicious meals, but more and more people would like to enjoy this festive period as an experience, getting the vibe of the real festive atmosphere Budapest can offer. Apart from many ideas on how to make your Christmas holidays more memorable please find our essential guide when planning these days ahead. Opening hours on Dec 24: 10 am – 2 pm (food stalls and handicraft shops). Please note that on Dec 24 there will be no laser light show on the facade of the cathedral as it starts after 4 pm, and the market will close at 2 pm on Dec 24. Why not go for a cruise on Dec 24? There are daytime sightseeing cruises on the Danube, including a Lunch Cruise. 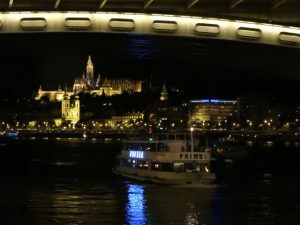 For a more wintery boat tour, hold a mug of mulled wine or grog in your hand on a heated boat on the Budapest Mulled Wine Cruise. 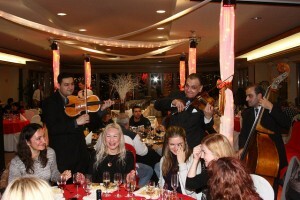 For a truly special way to spend the evening of Dec 24, you can enjoy various dining cruises (with served or buffet dinners) on the river Danube on beautiful boats cruising along the UNESCO World Heritage of Hungary: Budapest Christmas Eve Cruises are a truly special way to spend the evening of Dec 24. Hurry up to make a booking as the Christmas nights are an absolute sell out. Christmas Eve Church Concert in Budapest in St Anne’s Church in the city centre. 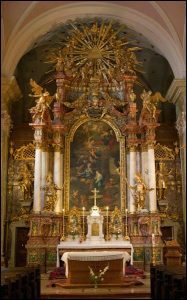 Listen to the wonderfully evocative works by Bach, Handel, Vivaldi while enjoying the baroque architecture of the recently restored St. Anne’s Church in Budapest’s city centre. 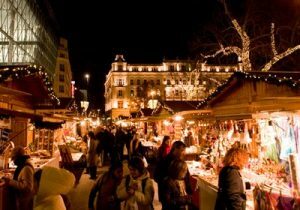 Just a walk away from most major hotels in Budapest from 6 pm on Christmas Eve. Perhaps the most awaited Christmas event by thousands of religious Hungarians is the Midnight Mass on Christmas Eve. 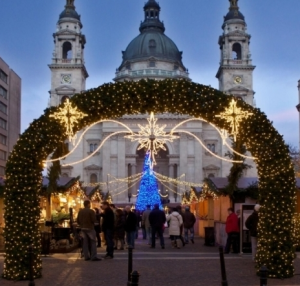 Visiting any of the Christmas masses in Budapest is free, and they all start at midnight. There are many churches you can choose from, but some of them are also worth a visit for their own exceptional beauty too. The Midnight Mass at the St. Stephen’s Basilica is a truly special and unmissable experience with a stunningly beautiful interior, a sacred atmosphere and a beautifully sounding pipe organ even for non-religious tourists. Another option is to go to Matthias Church in the Buda Castle, one of the top tourist attractions of Budapest. 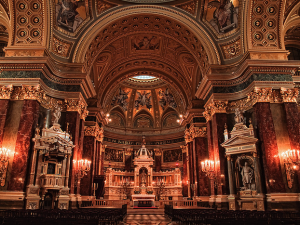 If you decide to attend any Midnight Mass in Hungary, get dressed well to avoid catching a cold and organize a taxi transfer as the Budapest public transport is very sparse on Christmas Eve. 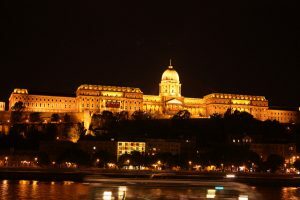 Should you be interested in discovering the Castle District and the beautiful attractions and sights of the Buda Castle during your Christmas holiday via a guided tour, you can choose a 2h Guided Walking Tour. During Christmas there are some changes to public transport schedules and opening hours. On 24 December (Sunday), until 4pm, the Saturday schedule will apply for all public transport services. After 4pm, metros, trams, trolley buses stop and are replaced by night bus networks. 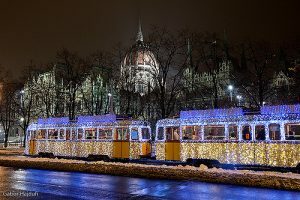 But don’t forget about the Christmas trams that are decorated with nearly 30,000 blue and white lights and will surely put you in a festive mood. You can usually catch this glowing streetcar on line 2 and 2A. Schedules have not been updated for this year yet. On 24 December, everything is open until 2pm when most shops close their doors. Useful tip for shopaholics: the Christmas sales in Hungary usually start on the 26th and 27th of December, you can get many great things for a reduced price, but be prepared for long queues as everyone is up for a bargain! and all their facilities are open from 6am to 2pm. Check-in for online reservations: 9 am – 1 pm. 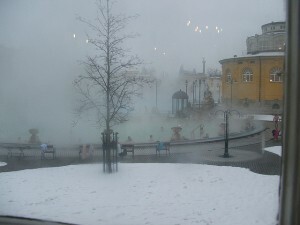 Kiraly Bath is closed on this day. Please note that massage appointments and private baths are subject to availability and the massage hours are limited. Should you wish to enjoy a nice and relaxing massage or to soak in the private bath of Gellert Spa during the Christmas holidays, we advise you to book it well in advance.